There are different types of land ownership in New Zealand. The type of ownership has a direct impact on what you can and cannot do with the property. There are four main types of property ownership in New Zealand – freehold, leasehold, unit title and cross lease. Each type means different rights, responsibilities and restrictions for the owner. For any type of property, you should ask your lawyer or conveyancer to review the record of title (also known as the certificate of title). This is the legal document that contains the property’s legal description, details of its ownership and the rights and/or restrictions registered against it. Freehold. This is also known as fee simple and is the most common ownership type in New Zealand. Leasehold. Someone else owns the land. You purchase an exclusive right to possession of the land and the buildings on it for a specific period of time according to the terms of the lease. Unit title ownership. This is most common in a building development where there are multiple owners. A leasehold interest in the particular area and building that you occupy. This page provides general information only and should not be relied on. You should always get advice from your own lawyer and other registered professionals – what is written here is not intended to replace that advice. Freehold, also known as ‘fee simple’, is the most common kind of ownership in New Zealand. It is usually the simplest kind of ownership. whether the land is Māori freehold land. With leasehold ownership, someone else owns the land, and you pay rent to them. You purchase an exclusive right to possession of the land and the buildings on it for a specific period of time according to terms set out in a lease. In some cases, you will own the buildings or other improvements on the land. rates and other expenses relating to your property. At the end of the lease term, you will need to return the land and the buildings to the freehold owner in the condition specified in the lease. Ground rent can change and will usually increase. 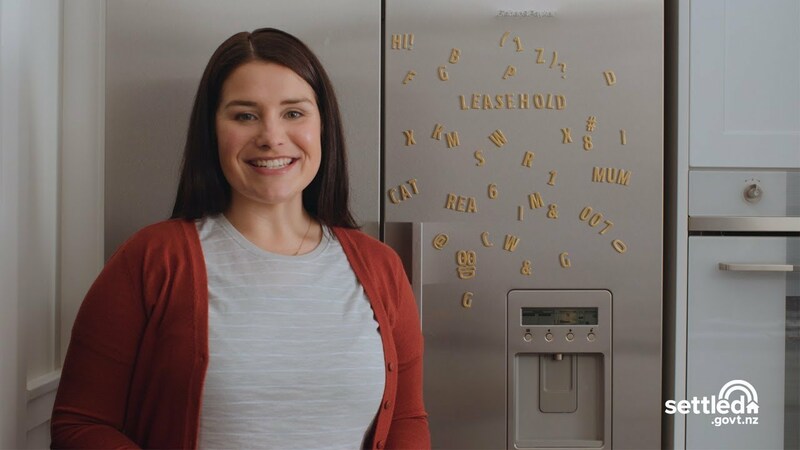 Increased rent and a shortening lease term can have a serious impact on your ability to sell your leasehold interest at a later date. an undivided share of the ownership of the common property (eg lifts, laundries, lobby areas, driveways and gardens). Becoming a unit title holder means you automatically become a member of the body corporate, which consists of all the unit owners acting as a group. Most day-to-day decisions of the body corporate can be made by a body corporate committee or with the agreement of 50% or more of the unit owners. Some decisions will require the agreement of 75% or more of the unit owners. You will usually pay an annual fee (a levy) to the body corporate, which will go towards budgeted body corporate expenses. The fee will probably include costs like insurance and management expenses, contributing to a long-term maintenance fund (LTMF) and any services the body corporate arranges for its members (for example, rubbish collection and cleaning communal areas). Any body corporate costs that have not been included in the budget are also payable by the unit owners, usually by way of a special levy. If you are interested in buying a unit title property, you should ask for a copy of the body corporate’s rules. These will set out how you and the other owners can use your units and the common areas. You should also ask for copies of the minutes from the body corporate’s meetings and the body corporate’s maintenance plan, and information about any regular fees you need to pay. Make sure the LTMF has enough money in it to pay for the ongoing repairs and maintenance detailed in the plan. Chat with other unit owners within the complex to see how the body corporate operates. A pre-contract disclosure statement, which the seller provides before entering into an agreement for sale and purchase. A pre-settlement disclosure statement, which the seller provides after entering the agreement for sale and purchase but before settlement of the sale. Any additional information you request about the body corporate. (You may need to pay any costs for this). Additional information you could request includes the insurance policy for the property, and information about any other liabilities such as repair bills and maintenance fees. The Tenancy Services website has helpful information on unit titles for all property owners (not just landlords) including the Short Guide to Unit Titles booklet. Read more about what you need to know when buying an apartment or unit here. A share of the freehold title in common with the other cross leaseholders. A leasehold interest in the particular area and building that you occupy. These leases are usually for 999 years for a nominal rent like 10 cents per annum (which is usually not demanded to be paid). any common or shared areas. Cross lease ownership usually means that any structural changes made to any area you are entitled to use exclusively (like the building you occupy or your separate garden) or to the shared areas must be agreed upon by all or a majority of the owners. Depending on the terms of the cross lease, you may need to get the other owners’ consent for things like painting the exterior or making non-structural changes to the building you occupy, building a deck or putting up a fence. There may be restrictions on what you can do with the property under the terms of the lease registered on your title. Cross leases are a complicated type of ownership. If possible, talk to the other cross leaseholders and find out how well the arrangements work.